1. Tin is strong from oxidation and corrosion as well as contains high antibacterial properties. 2. Tin purifies water and to eliminate unpleasant tastes, mellows the taste. 3. The thermal conductivity of tin is high. 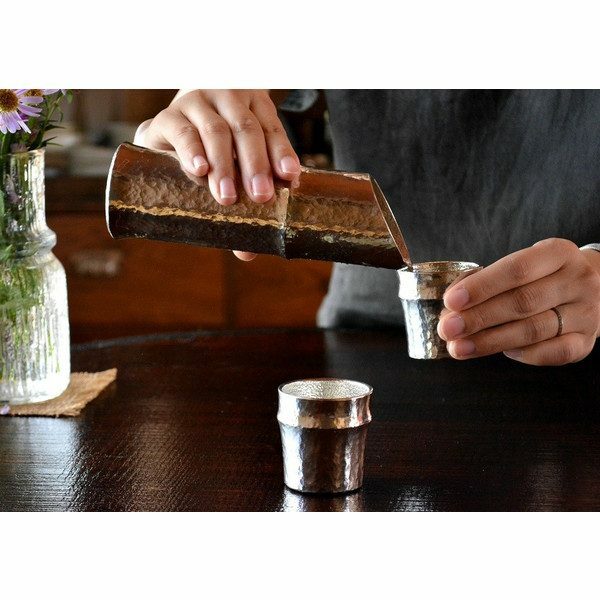 When hot sake is poured in heat retentive tin sake vessels, the Sake lover is able to drink the hot sake at the high temperature. The same is true for cold sake! When cold sake is poured into these sake vessels, the chilled temperature is retained, resulting in a chilling sensation during drinking! If the sake vessel is chilled beforehand, even room temperature Sake poured into these sake vessels can become chilled quickly. 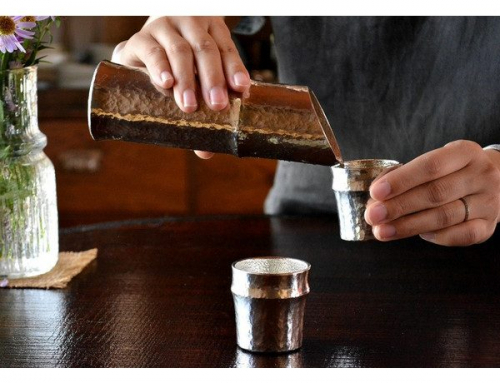 Sake set using tin. The ochoko and katakuchi have such a delightful shape, they can easily be decorative pieces of interior. Highly recommended as gift items. The guinomi is slightly larger than an ochoko. 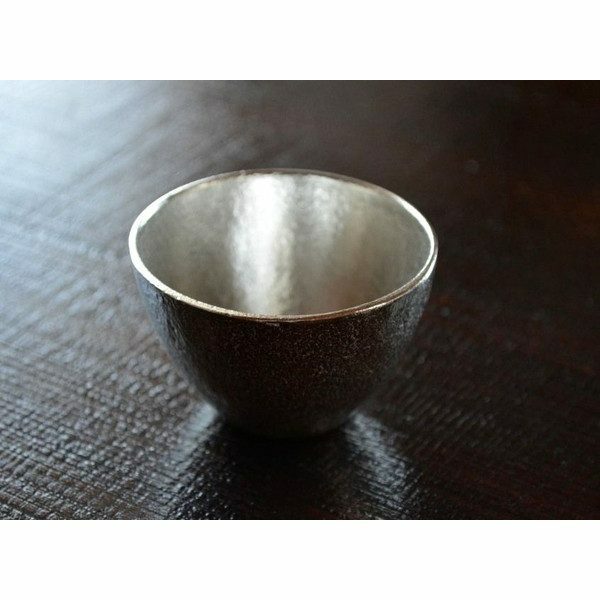 For those who are considering a solo Sake vessel for enjoy Sake alone, this item may be a good starting point. With the incredibly high temperatures around the world this summer, the following sake vessels radiate a sense of coolness while drinking Sake. To enjoy Sake with the five senses, we recommend the following blue sake vessels to bring cool relief to your sense of sight as well. For your reference, in one of our previous posts we introduced our top 10 recommendation for sake vessels for cold sake. 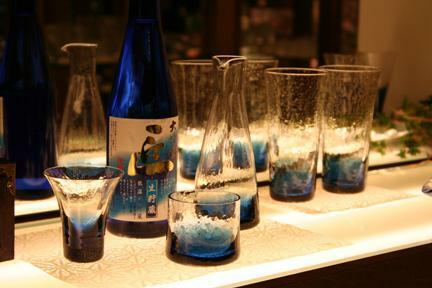 However, in this post, we focused on blue sake vessels we have not introduced the above post. This sake vessel has a pocket to insert ice to cool the Sake. Very appropriate for the summer, a carafe for cold sake. Gradations of blue with specks of gold for a luxurious sophistication. Tsugaru Vidro created this decorative sake vessel set. Sake lovers can select either the pink “sakura” or the blue “ajisai” hydrangea. 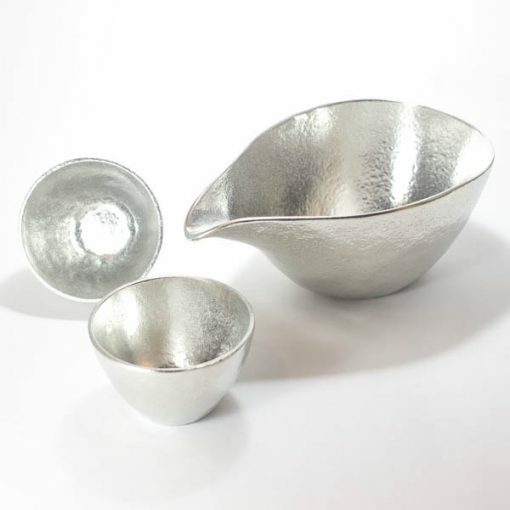 A lovely set which allows you to drift along the Vidro designs. 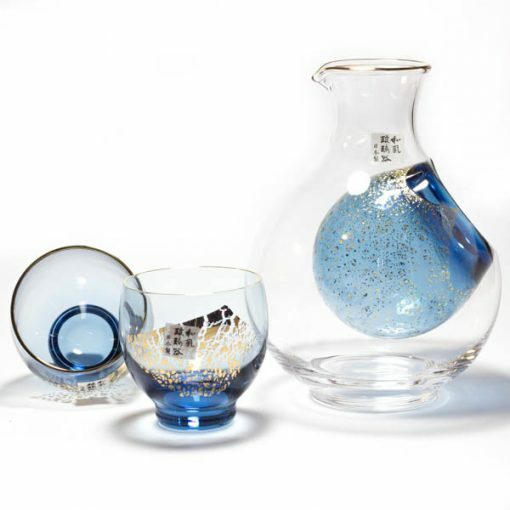 The beauty of this dark blue bottomed Edo glass set. The gold specks on the pieces convey a sense of luxury. The slightly profound color allows the sake vessels to be used, not only in the summer, but all seasons. 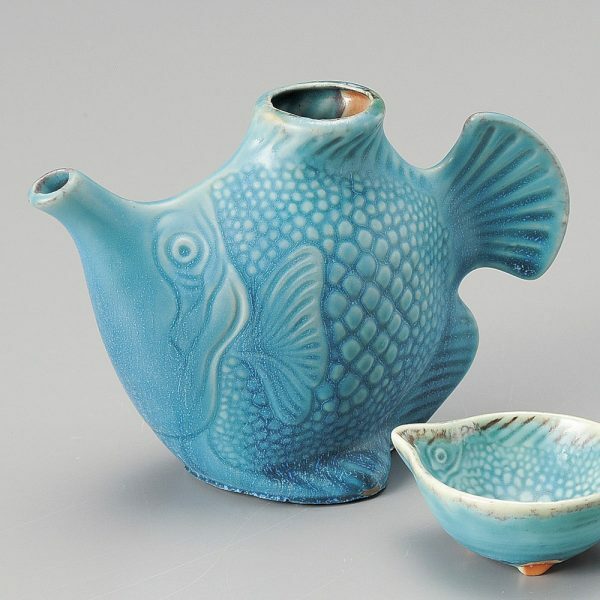 Our one recommendation for a ceramic piece, this unique and cute, fish shaped tokkuri. By looking carefully, we can see the interior of the ochoko resembles a fish as well. A very playful set.